How Rupi and KayRay "Got Out There"
Up until that point, Rupi had done some poetry reading in her local area, but wasn't thinking of expanding beyond that. Kiran Rai hadn't produced a film before. They decided to enter the SikhNet Film Festival, without any plans to do anything like this again. 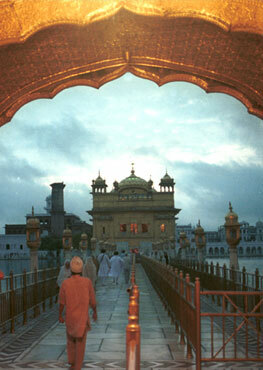 Their films were seen by thousands of Sikhs and non-Sikhs alike across the world. The response they got was amazing. The energy they got by sharing their stories was addicting. "There is nothing like it." After getting this kind of exposure, both of them have thrown themselves into doing the thing they each love: art. Kiran Rai is starring in the upcoming show Anarkali, and film ANANKE. She starred in, directed, and produced the short film Kirpa. She is a model, clothing designer, and youtube vlogger. Rupi Kaur tours around the world to perform her spoken word, and has authored the book, "milk and honey." She is a popular artist on Instagram and made headlines when some of her images were temporarily banned from the website. She collaborates on film projects, and does art directing. Congratulations to both of you. Keep following your dreams. We are proud of you. Editors Note: In this video both women are being interviewed by Harijot Singh from SikhNet. There is a very sweet part when they both realize that they got their start with the SikhNet Youth Film Festival. If you have not yet started to make your film for this year's SikhNet Youth OnLine Film Festival - don't delay. How Living Our Guru’s Teachings Creates Healing In The World. We have changed up the prizes a little this year. Now there are still three chances for Intermediates (18-28 y/o) to win $1,000, but there are no categories. The prizes will simply be awarded to the top 3 ranking Intermediate films. Juniors (11-17) also have a chance to win $500, and Seniors (29+) will get a certificate.